Product overview by Vlad Catrinescu – requested by QIPoint, but thoughts are my own. As SharePoint is becoming the central hub of information and publishing in enterprises across the world, employees rely on it daily to find required information for their day to day job. After numerous migrations, organizational changes and URL changes, your SharePoint might have broken links, which can cause frustration among your employees. Those links can be everywhere in ASPX pages, quick launch navigation as well as directly inside documents. Scanning the thousands of documents and pages and testing every link is impossible, but luckily, some SharePoint third-party vendors created tools for us to make sure we find those links with just a click. Supports scanning within file contents such as PDF, Text, HTML, MS Word, MS Excel, etc.. 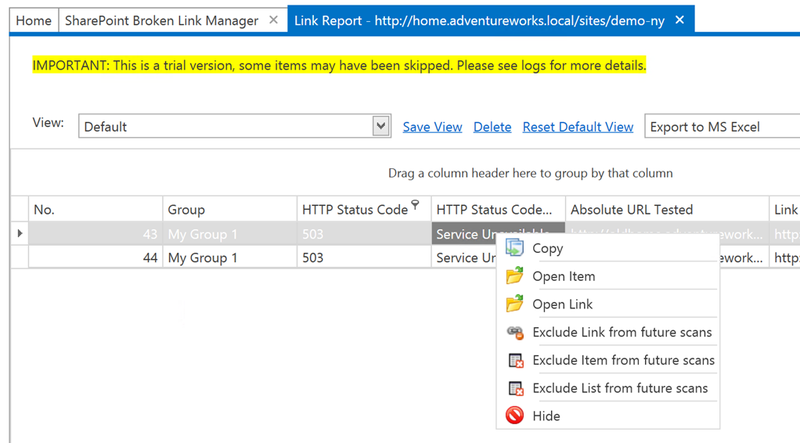 The SharePoint Broken Link Manager is a client side application, meaning that there is nothing you need to install on the SharePoint Server itself, and the application can be installed on any computer. This is great because there is less risk for your SharePoint Farm, and a department can decide to buy and use this tool, without affecting any other site other than the ones they have access to. The Installation is a simple Next, Next Finish, and once you finish installing it, you get to a dashboard similar to the one in the screenshot below. The first thing we will have to do is add the Site Collections we want to manage. The Site Collection Adding Process is pretty straightforward, and you simply need to specify the URL, Authentication method as well as Username and password. A new tab will open, and you need to select the Scan Options, such as what items to scan, do you want to scan the List Item Attachments as well or not and more. A bit lower on the Scan Options, we can also select to Find and Replace certain links. This could be useful right after a Migration from “oldurl” to “newurl”. However on this first scan, I will simply scan and not replace anything. When replacing links, you also have the options to require versioning before replacing, as well as to preserve the important Author and Date. This is very important for all companies. After running the job, we get a report of all the links in our Site Collection, what the URL is, what the display value is, when it was last modified, as well as the Author of the item where that link was found. The level of detail included is awesome, and very useful. I love the fact that there is a lot of information in this report, however I think it could be a little more user friendly. As an IT Pro, I know what HTTP Status code 200, 503, 404 and they do help me know what is really happening, this might not also be valid for a SharePoint Intranet Manager without a more technical background. All the codes are explained in the user manual which helps, however I wish there was a view called “Broken Links” which only showed me the stuff needing fixing. I did filter on Error 503, and saw my two broken links. 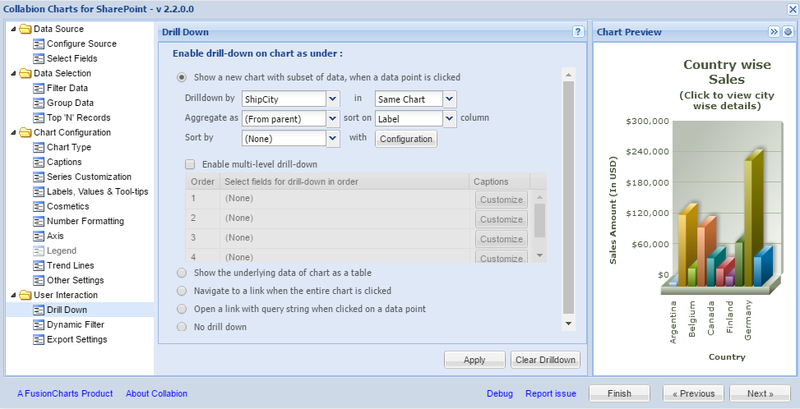 I did find that there is an option you can select in the first page to ‘Only Show Broken Links’ in the report, this will then remove all valid ‘OK’ links and only show broken ones. Also, I discovered that I could drag and drop the HTTP Status Code column which would then group all the erroneous links in groups and also I could group by SharePoint Item Title, so then it was easier for me to locate the files and SharePoint Items that contain the broken links. 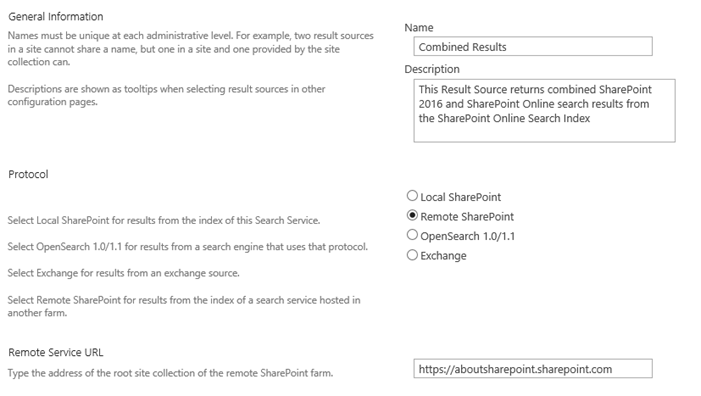 Once you know the broken links, you can open them to validate it’s broken directly from the report, and you can also open the SharePoint item (page, document, list item, etc.) where it was found, directly from the report! This can be really useful for a fast check before fixing it. In the Report Settings I have added the old value “oldhome” , and asked it to switch to “newhome”. If you just want to see what the change looks like, you can use the “Flag Only” check box, and that will show you in the report what it would have changed it to, but not actually change it. I will also select “Preserve Author and Date”, so it doesn’t mess up my company metadata. 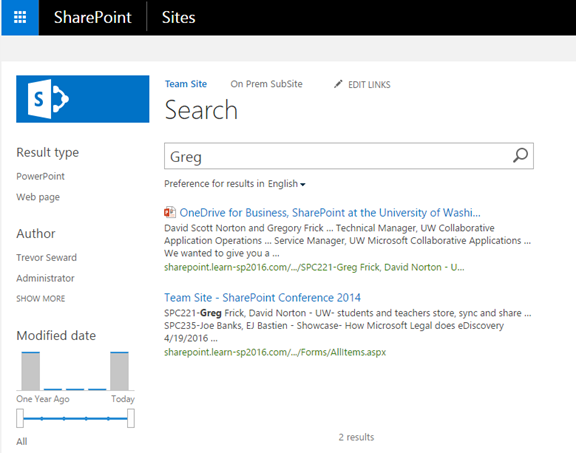 The tool was able to replace my links, in all the locations, inside the SharePoint pages, as well as the documents, which is pretty amazing. 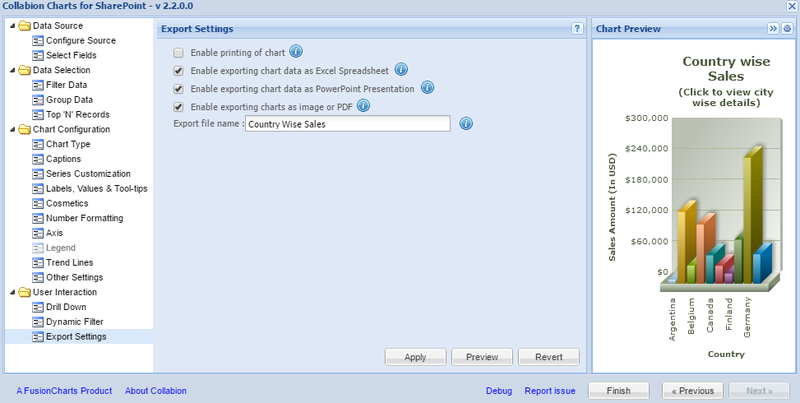 Other cool features include being able to export reports both in Excel, as well as in a small standalone application offered by QIpoint that doesn’t require an install. You can also schedule the jobs to run every week for example, and email you the report. 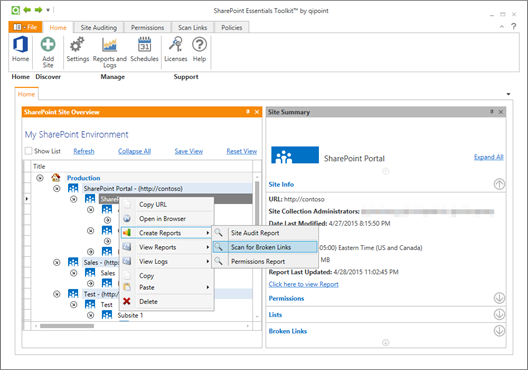 In this blog post, we have reviewed the SharePoint Broken Link Manager tool, part of the SharePoint Essentials Toolkit by QIPoint. This tool is aimed at Site Owners who want to make sure their Sites do not have any broken links that can cause a loss in productivity and user frustration. 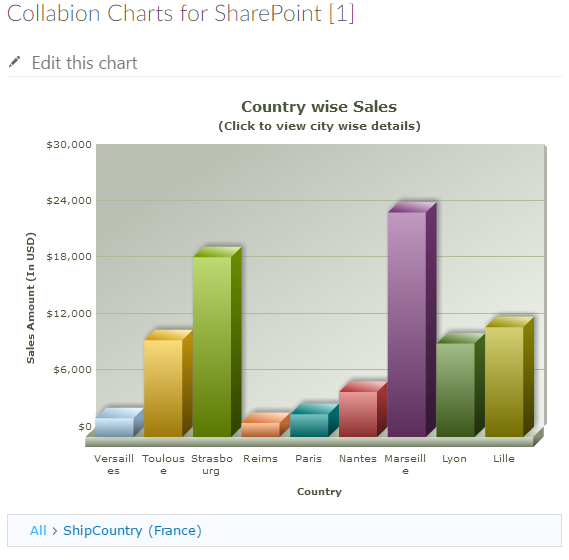 The SharePoint Broken Link Manager tool is a client side application, meaning that it’s installed on a client computer, and not on the SharePoint Server, therefore making it easy for a Site Owner, or Department to purchase it, without affecting other sites in the SharePoint farm. During the review, I found the QIPoint tool to have all the features I would expect, and all the features worked great. What I would have loved is a bit more user friendliness for less technical users on the broken link report. Having the HTTP Status code is very useful, however a view called for example “Broken Links” that includes a filter on HTTP 404, 503, etc… Out of the box would have been amazing! 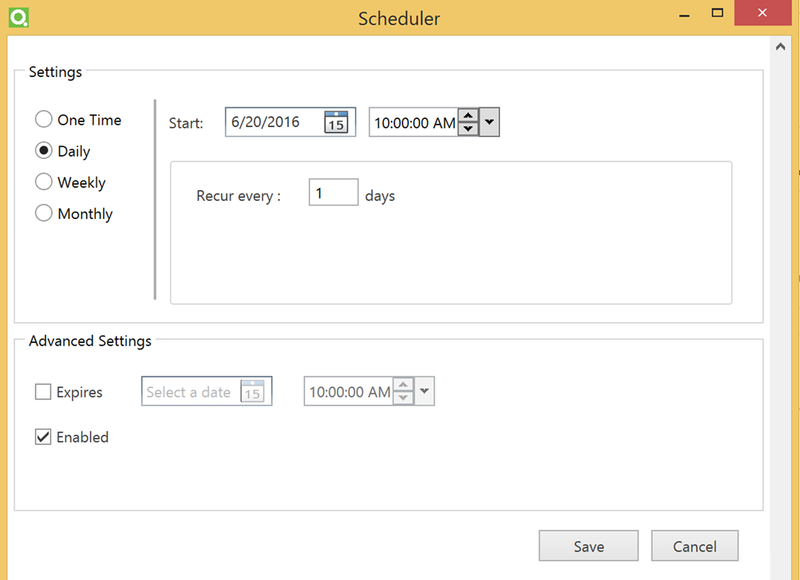 Other than that report, I really see this tool as being extremely useful right after a migration, as well as running on a schedule to make sure your SharePoint links always get to the right information. If you’re looking for a way to find and fix your SharePoint Broken links, make sure you check SharePoint Broken Link Manager by QIPoint! To find out more, click the logo below to go to the product site. 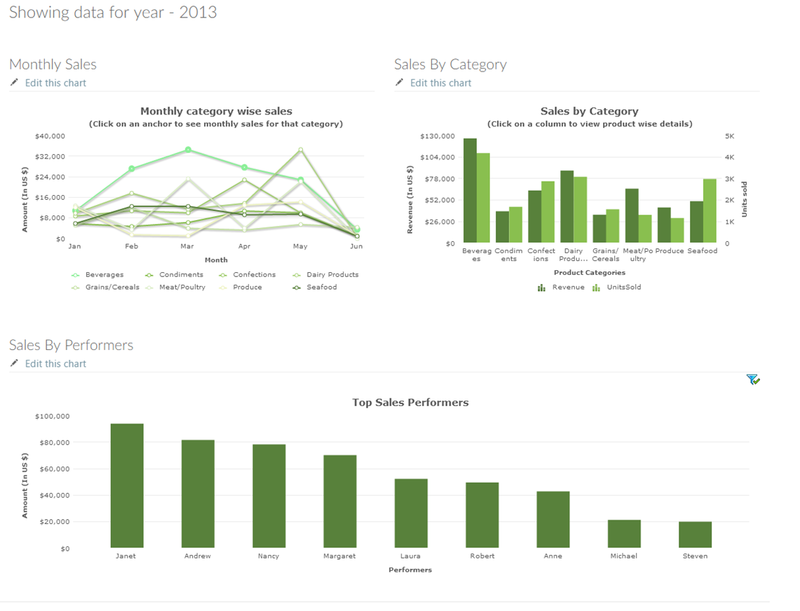 Product overview by Vlad Catrinescu – requested by Netwrix, but thoughts are my own. control over changes, configurations and access in hybrid cloud IT environments, in most of the Microsoft Stack such as SharePoint, Exchange, SQL, Windows Server, File Shares, AD and Office 365. 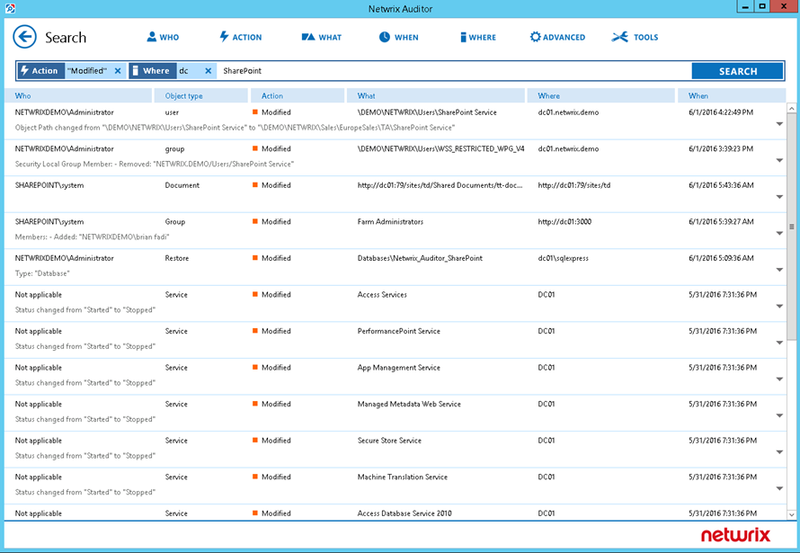 As we will focus mostly on the SharePoint features of Netwrix Auditor, here is an introduction about the product directly from the Netwrix Auditor site. 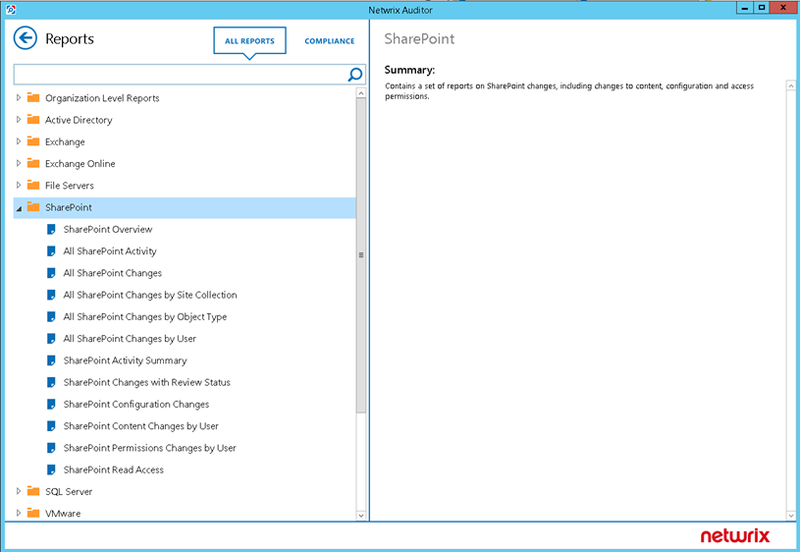 Gain deep insight into all changes that impact compliance, security and availability across your SharePoint sites, including changes to farm configuration; changes to security, from the farm level down to single document permissions; and the creation, deletion and modification of any SharePoint content. The Netwrix Auditor platform comes split in two. You have the Administrator Console in which you can define what systems you want to connect to as well as the credentials to connect to those systems. 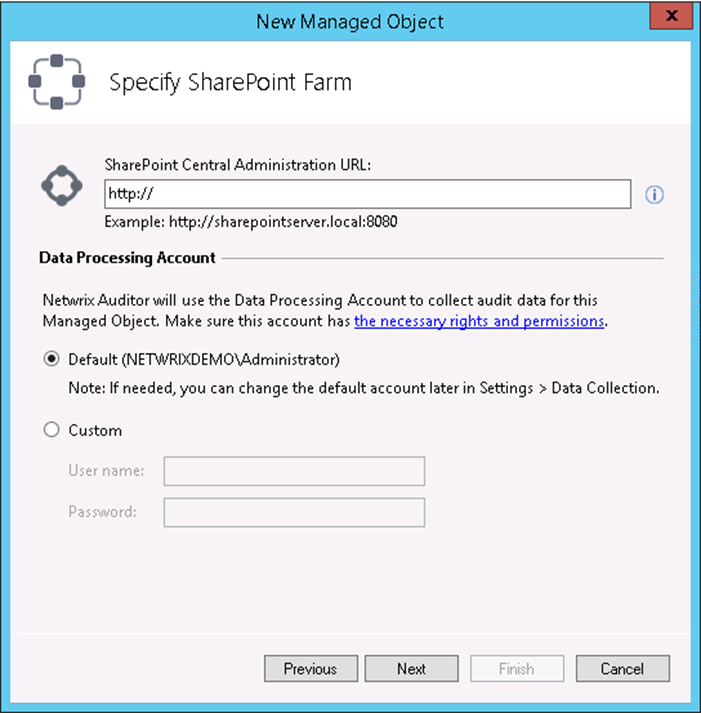 To connect to a SharePoint Farm, you will need to connect to the SharePoint Central Admin site, and specify an account that has the required rights! 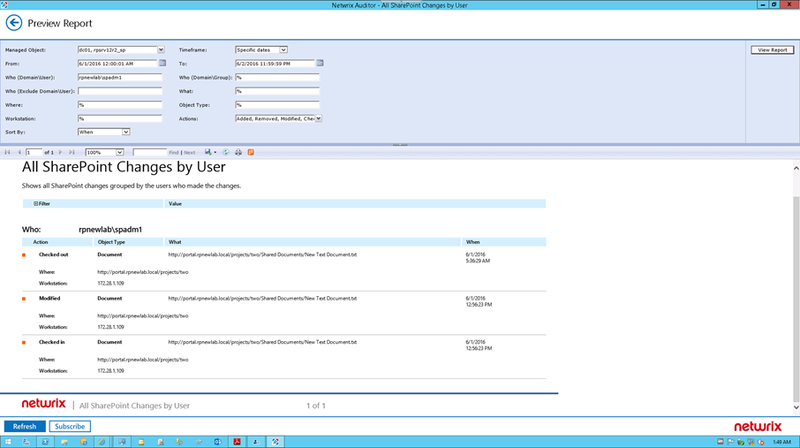 After the Admin Part is setup, you can consume all the auditing from a Netwrix Client. And I think the way they built it is very smart, because the Netwrix Auditor Client can be installed on an unlimited number of computers, and you can delegate access to audit data to different teams when they need it. 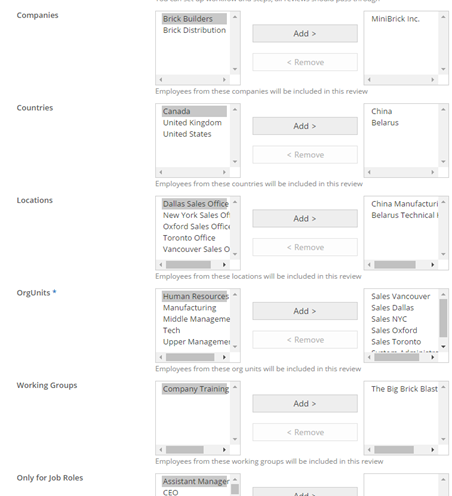 For example you could give access to a team doing a Compliance Report. 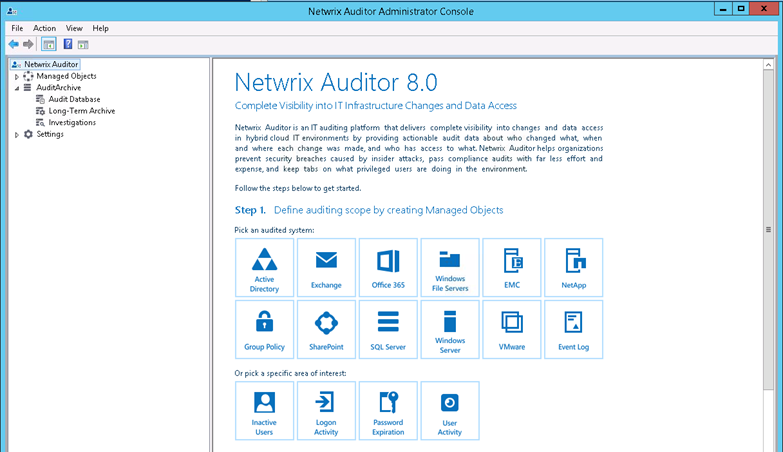 The Netwrix Auditor client start screen looks like the screenshot below, and it provides you with a quick access to the Overview dashboards for each System. 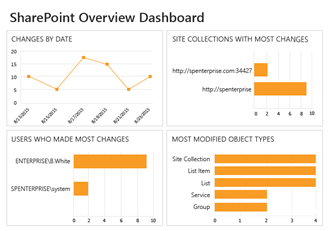 The SharePoint Overview dashboard gives you a quick glance at how many changes were done on your SharePoint Farm(s), on what Site Collections as well as what types of items were changed. 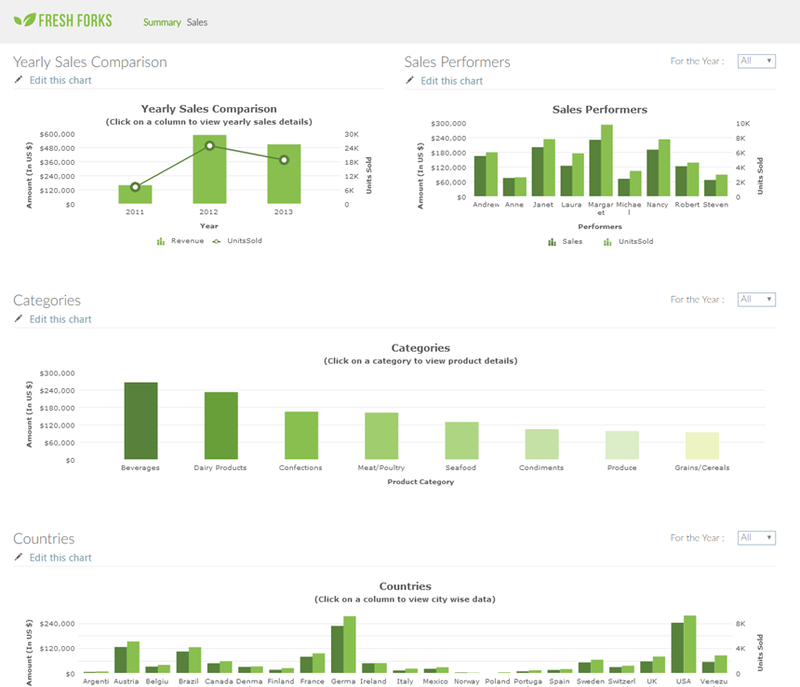 The overview dashboard can be useful to present to a Manager, and even measure adoption. 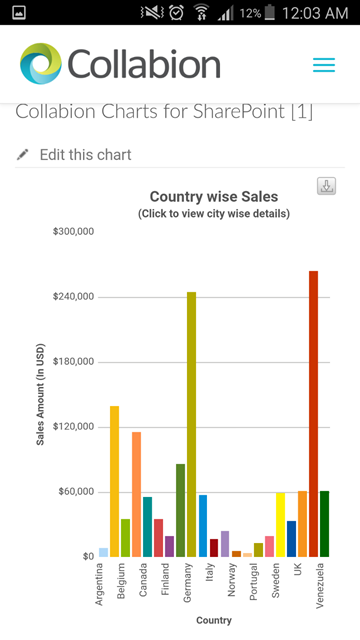 They are pretty laconic, but if you need more details, you can get them by clicking any specific graph in the dashboard. 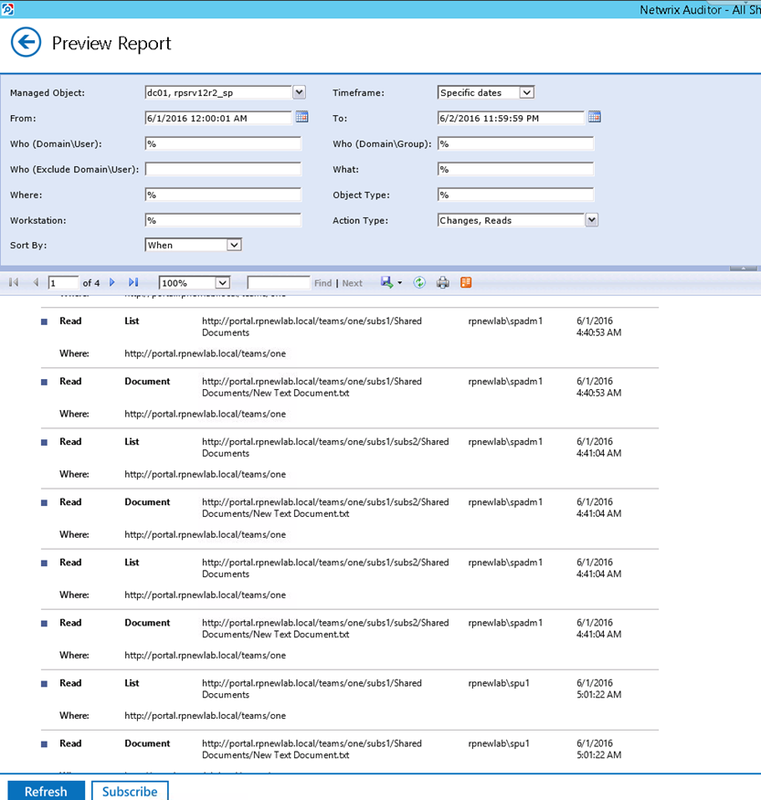 Luckily, Netwrix has a dozen out-of-the-box SharePoint reports that you can easily run to get more detailed information. Some of the ones I liked most are finding all the SharePoint Changes done by a certain SharePoint User. 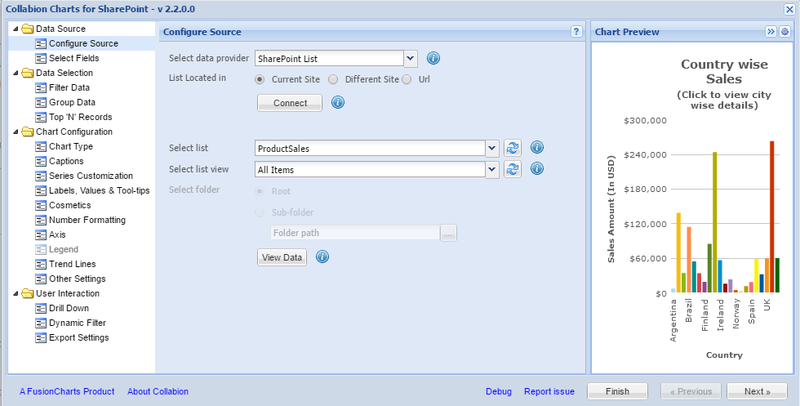 Being able to run this report across multiple SharePoint Farms from one client is pretty useful! 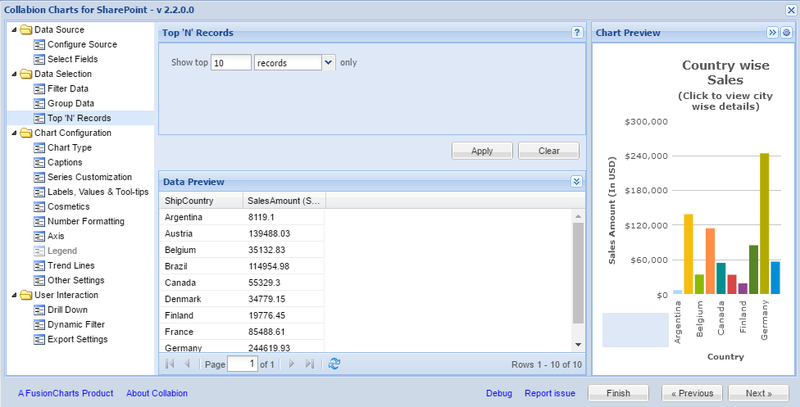 You can also do reports on what users accessed, and even filter on a certain user, or an object type. 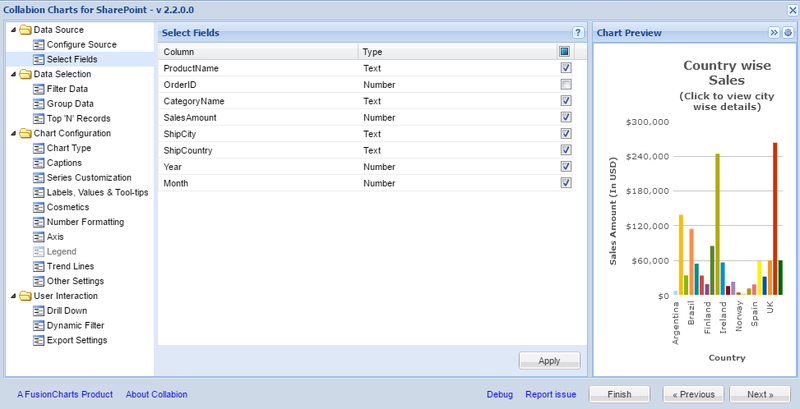 Another feature of Netwrix Auditor is out-of-the-box Compliance Reports. While I am not a big compliance guy and don’t know what all those standards mean, Netwrix Auditor has out-of-the-box reports that are mapped to specific regulatory compliance standards including PCI DSS, HIPAA, SOX, FISMA/NIST800-53 and ISO/IEC 27001. If you are a company that needs to respect any of those compliance standards, it’s a real perk to have them created by people who know those standards, and easily available to generate data. Lastly, Netwrix Auditor also has an Interactive Search that allows users to search either on a system, or on all audited systems. You can filter by User, Action, Date, System and a lot of other filters. 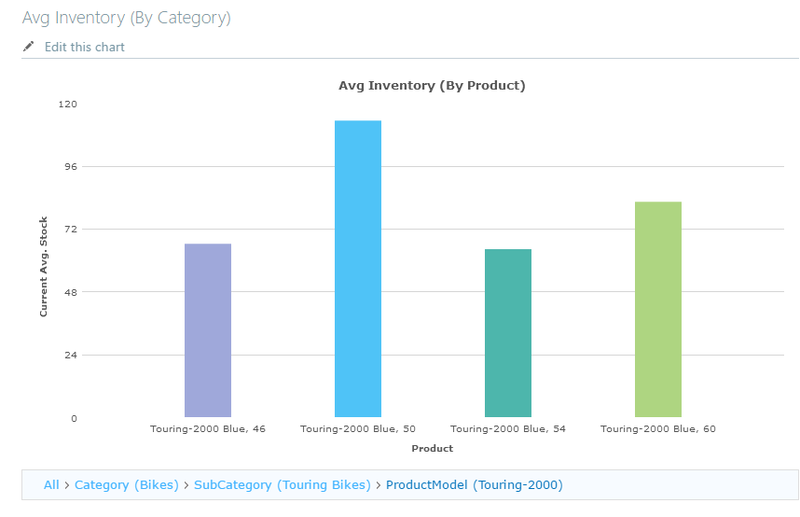 I wish that it was a bit more like Power BI, and using artificial intelligence to understand Simple Langue Queries like “Show me all the users who modified a SharePoint Group in the last 10 days”, but I understand that for security software, being accurate is a lot more important than having that consumer AI in place. It’s still pretty easy to build Search Queries and find what you need from all your connected systems. control over changes, configurations and access in hybrid cloud IT environments, and focused only on the SharePoint related features. 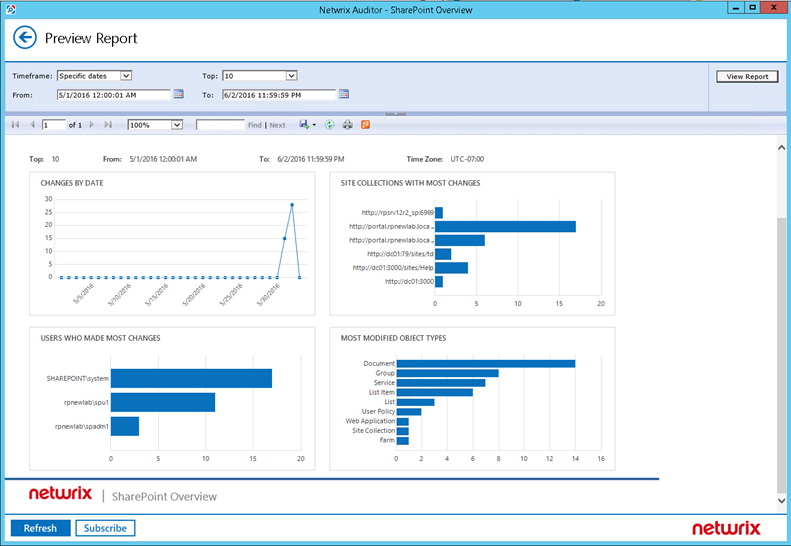 I would say that I am pretty impressed with the software and how easy it makes it for users to do view logs from all your SharePoint Farms, which you wouldn’t be able to do without a custom solution looking in the SharePoint Audit database. The point I think I found the most useful is separation of the Admin Console and Client. 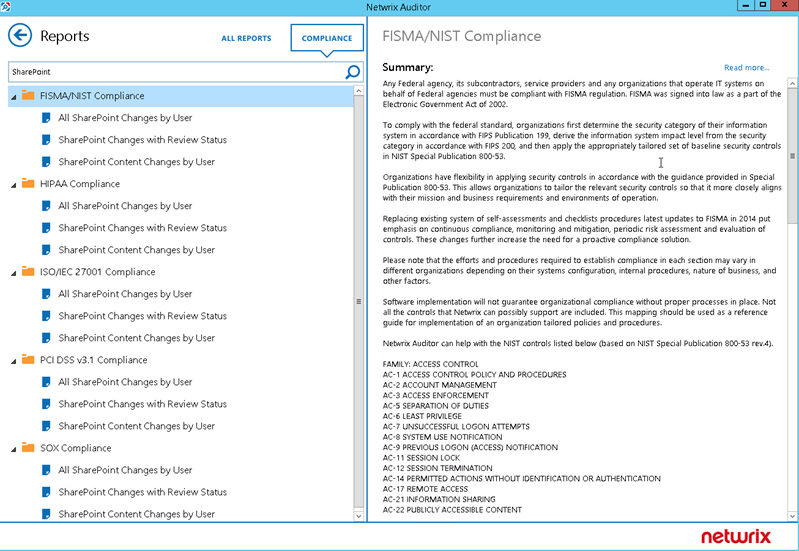 Having all of the Reports that Netwrix Auditor has out-of-the-box as well as all the compliance reports can save you hundreds of hours of work, and I think that if you run an enterprise with hundreds of services, and thousands of servers, you need a tool like this to make sure you respect your compliance standards, and keep your network safe. 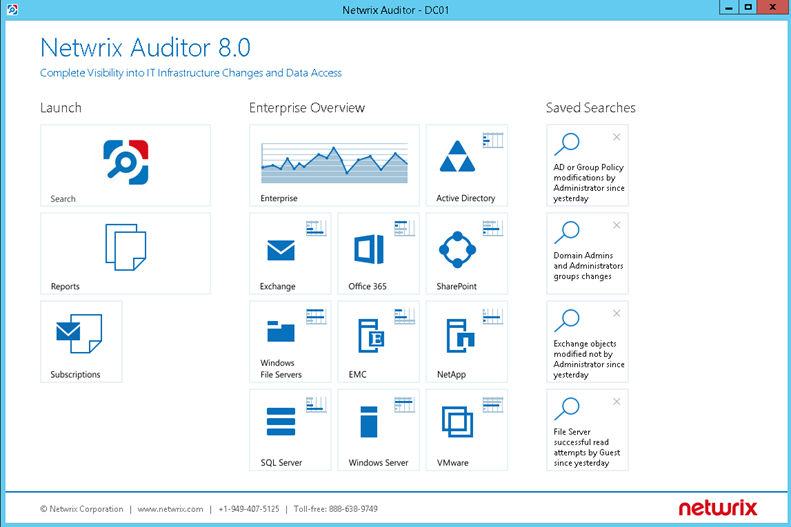 If you’re interested in visibility software for enterprises that also integrates well with SharePoint, make sure to check out Netwrix Auditor by clicking the logo below. Are you an IT professional who installs, configures, deploys, and manages SharePoint 2016 installations in a datacenter and in the cloud. Do you have more than four years of experience in planning and maintaining SharePoint and other core technologies upon which SharePoint depends, including Windows Server 2008 R2 or later, Internet Information Services (IIS), SQL Server 2008 R2 or later, Active Directory, and networking infrastructure services. If so, here’s your chance to start down the path to the MCSE certification for free AND help us improve the quality of this exam! We are opening up 350 beta seats for this beta exam (exam number: 70-339)… This means you can take the exam for free!! BUT… the seats are limited to first come, first served basis. Registration is now open with the first seats available on June 20. Note that these codes will only work through July 11, 2016, meaning you have to register AND take the exam on or before that date)–and we need you take the exam as soon as possible so we can leverage your comments, feedback, and exam data in our evaluation of the quality of the questions. The sooner you take the exam, the more likely it is that we will be able to use your feedback to make improvements to the exam. This is your chance to have a voice in the questions we include on the exam when it goes live. Check out the official exam skills and register from the following link: https://www.microsoft.com/en-us/learning/exam-70-339.aspx . Use code BETA339MCP at checkout to get it for free! Here is the official Microsoft Learning announcement. 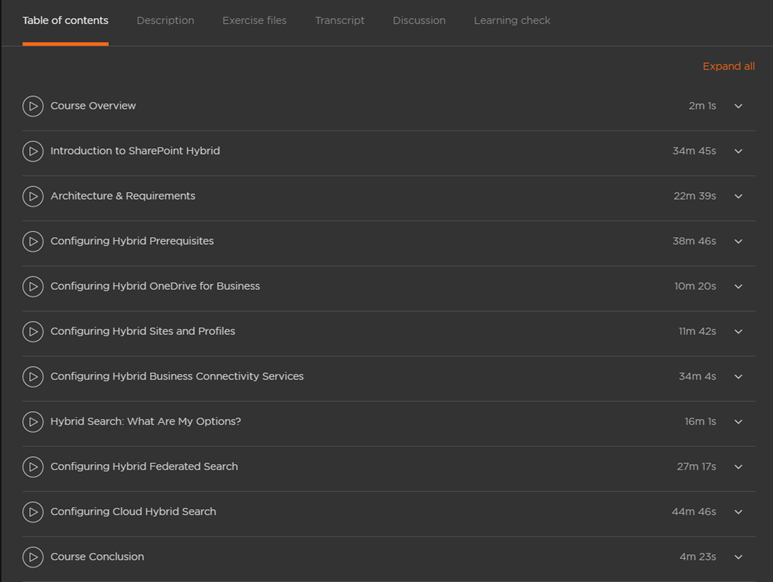 If you want to prepare for the Hybrid Questions for the exam, make sure to listen to my Pluralsight course on implementing a Hybrid SharePoint 2013/2016 Infrastructure! Access it by clicking the picture below! Don’t got a Pluralsight Subscription? Check out this blog post to get a free one: https://absolute-sharepoint.com/2015/12/free-pluralsight-6-month-subscription.html . Make sure to tweet this blog post to share it with your friends! Follow me on Social Media and Share this article with your friends! One of the new features included in SharePoint Server 2016, and also available with SharePoint 2013 as long as you have the required PU, is the Cloud Hybrid Search. The Cloud Hybrid Search has many advantages, especially for end users and if you don’t know what it’s about, check out my overview I did on CMSWire. 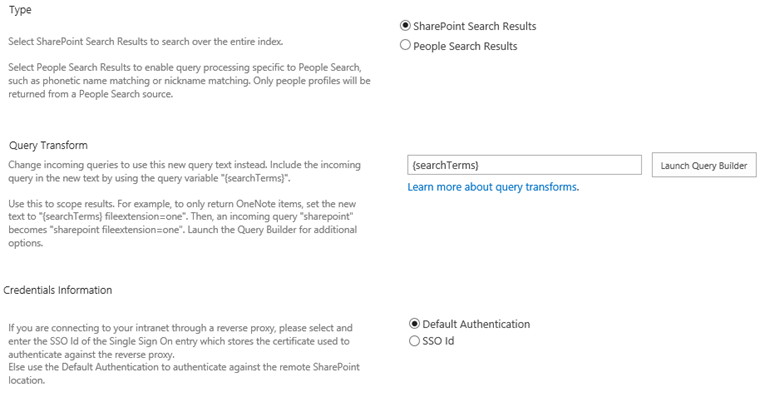 The Instructions on how to setup the Cloud Hybrid Search, enabled by the Cloud Search Service Applications do show you how to configure everything so you can search both On-Premises content as well as SharePoint Online content from the SharePoint Online Admin Center. What they don’t include is how to enable your On-Premises Search Center to also see those results. Since the index is fully in the cloud, as soon as you enable the Cloud Search Service Application, your On-Premises search boxes and Search Center will start returning absolutely nothing. 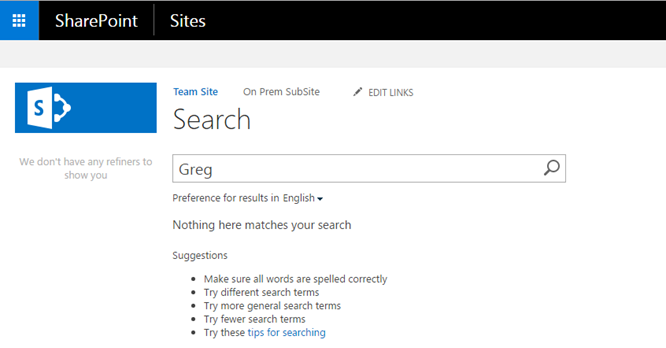 That is because, the default Result Source of your Search Service Application is looking for items in the On-Premises Search Index, which is empty since everything is shipped to Office 365. What we will need to do in order to get this fixed, is configure a result source that uses Hybrid Federated Outbound Search to Office 365, and get the results from that Search Index. Luckily, if you didn’t have Server-to-Server trust already setup before configuring the Cloud Hybrid Search, the On-Boarding process has already configured that for you, so you don’t have anything else to do except the steps in this blog. 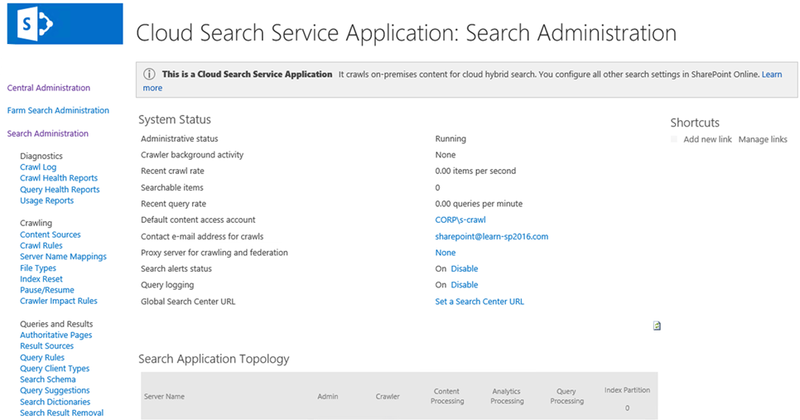 So navigate your Central Administration, and then to the administration page of your Cloud Search Service Application. From there, go to Result Sources, and create a new Result Source. Enter a good name and description, so everyone else in your organization knows what this Result Source does, and in the Protocol, select “Remote SharePoint”. 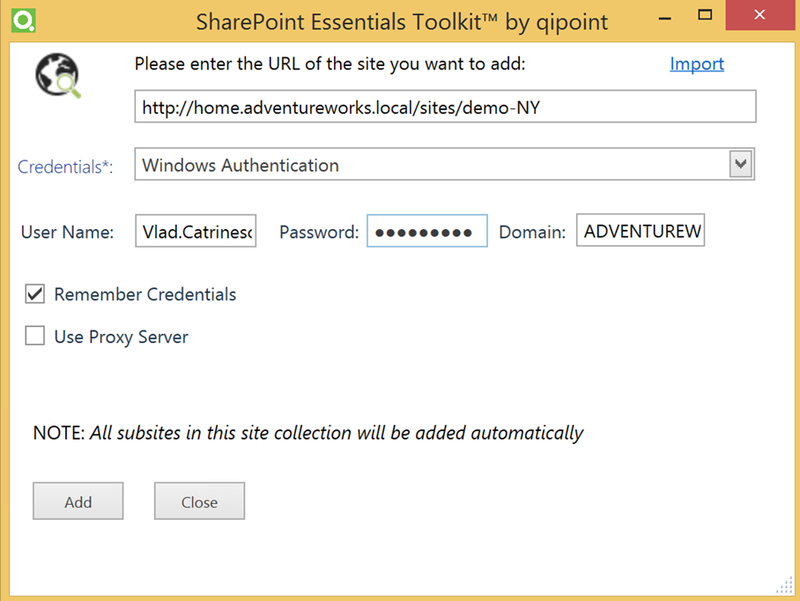 In the Remote Service URL, enter your main SharePoint Online site collection which is always https://companyname.sharepoint.com. 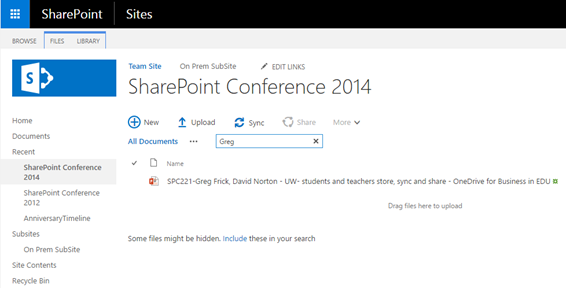 You can easily find this from your SharePoint Online Administration Center. Simply go do a search from your Document Library Search Boxes or from the Search Center, and you will start seeing Search Results again! If you want to learn more about SharePoint Hybrid and the Cloud Hybrid Search, check out my Pluralsight course on Implementing a Hybrid SharePoint 2013/2016 Infrastructure by clicking the small banner below! I am extremely happy to announce that my fourth Pluralsight course has been released this weekend, and this one is on a subject that is quite popular these days: SharePoint Hybrid! As more and more organizations want to deploy a hybrid SharePoint environment to benefit from the advantages of both SharePoint on-premises and SharePoint Online, IT professionals need to learn how to implement and configure SharePoint in hybrid mode. In this course, Implementing a Hybrid SharePoint 2013/2016 Infrastructure, you’ll gain the ability to configure a hybrid SharePoint infrastructure from A to Z. First, you will learn how to configure server-to-server authentication between SharePoint on-premises and SharePoint Online so they can securely exchange information. Next, you’ll learn how to enable inbound connectivity to allow Office 365 to connect to your SharePoint on-premises for certain features. Finally, you’ll learn how to implement all the hybrid features that SharePoint has to offer such as hybrid sites, hybrid OneDrive for Business, hybrid BCS, and hybrid cloud and federated search. When you’re finished with this course, you will have the skills and knowledge needed to configure a hybrid SharePoint infrastructure for your organizations and/or clients. This course also covers the hybrid portion of the 70-339 exam, so listening to it will definitely be useful if you want to get your SharePoint MCSE Certification! You can find the course on Pluralsight at http://spvlad.com/SharePointHybrid or by clicking on the banner below! If you don’t have a Pluralsight Subscription, check out how to get a free 3 months on my blog post over here: https://absolute-sharepoint.com/2015/12/free-pluralsight-6-month-subscription.html ! If you enjoy the course and you learned a lot, you can share it on social media by directly retweeting the tweet below! Product overview by Vlad Catrinescu – requested by Lanteria , but thoughts are my own. SharePoint Server is mostly known for document collaboration as well as for hosting some of the best Intranets in the world, however what really got it famous in the enterprise is all the customizations you can add to it so it answers to your specific business needs. As SharePoint got famous, so did its partner ecosystem, offering all kind of add-ons to manage everything from your internal Holiday Requests, to your public Internet knowledge base and helpdesk system. One thing that all companies have in common is employees, and the need for a system to manage them. 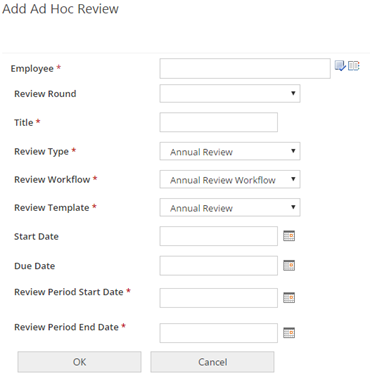 Instead of building a full HR Management System from zero, a SharePoint vendor since 2006, created a full HR management system that sits on top of SharePoint and offers a lot of functionality. 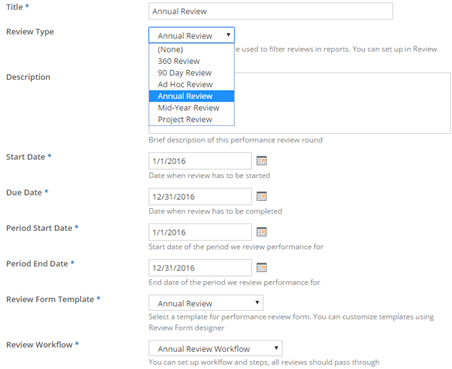 The Lanteria Performance tool is a SharePoint Add-on that aims to automate and simplify the process of employee performance evaluations. 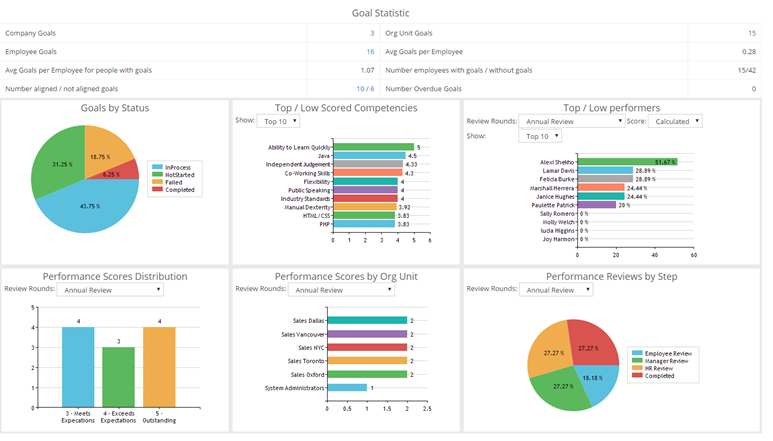 Lanteria allows you to start Performance Reviews, Set Goals as well as do 360 feedback rounds. When creating a Performance Review, there are many parameters you can customize according to your business needs such as Start and Due Date, using a pre-made template as well as a custom workflow. 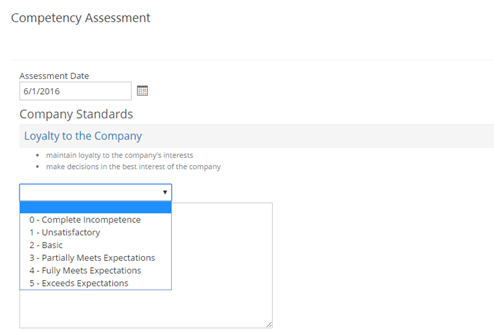 Furthermore, you can select to what Companies, Countries, OrgUnits or even Job Roles this review applies to in order to ask the right questions to the right employees. 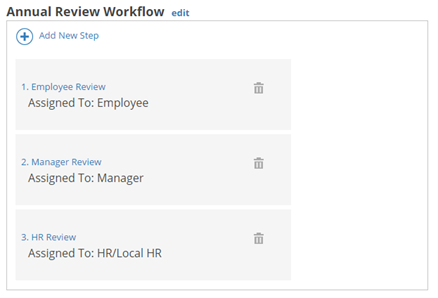 If you don’t want to assign a Performance Review to a whole OrgUnit, you can also create an AdHoc review to only one user, for example, after his probationary/introductory period is done! 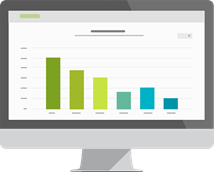 With all this data available, the Lanteria HR Management System also produces cool looking reports of your Performance Reports so you can see at a glance how your company is doing and present them. 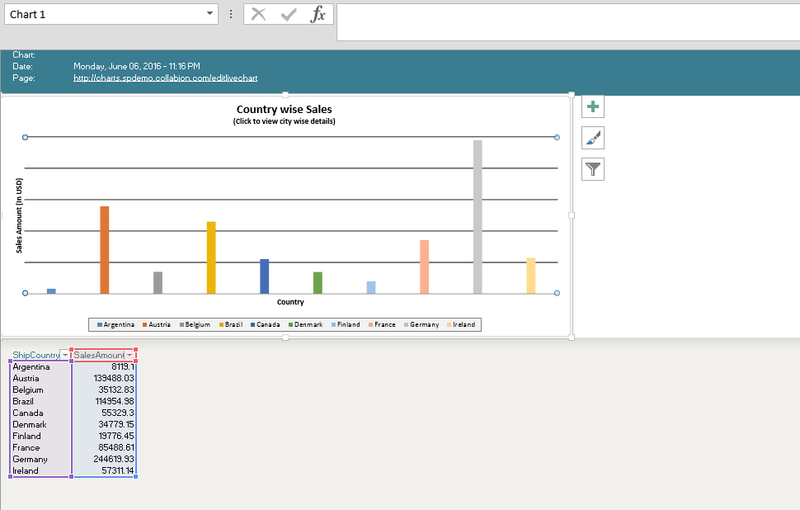 And you have a lot of Out of the Box reports that can be used to view information. I could filter by Certificates, Education, Training completed as well as specify some competency and only look for employees that master those skills. The Lanteria Performance Module which is part of the Lanteria Management System allows Human Resources professionals to easily assign, measure and customize performance reviews for all their employees. While the Lanteria Performance Module can be a standalone product, when you pair it with the rest of the Lanteria HRMS you get a complete HR Management System, running on the same SharePoint Farm as all your other SharePoint Applications. No Extra Hardware or user education needed. If you’re looking for a HR Management System for SharePoint and don’t want to waste years creating it from zero, make sure you check out http://www.lanteria.com/ and ask them for a demo! You can also click the logo below to go to the Lanteria Site to get in contact with them!